Northrop test pilot Lewis A. Nelson made the first takeoff of the prototype YT-38-5-NO Talon, serial number 58-1191, at Edwards Air Force Base, California. A private venture by Northrop, the Talon was designed by a team led by Ed Schmued, famous for his work on the North American Aviation P-51 Mustang, F-86 Sabre and the F-100 Super Sabre. The Talon is a twin-engine advanced trainer capable of supersonic speeds. After testing, the YT-38 was modified to the YT-38A. 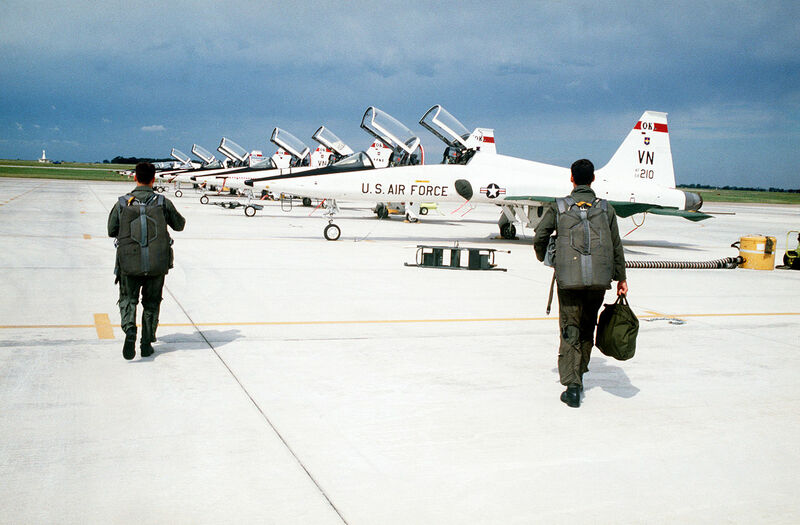 The modified aircraft was accepted by the Air Force and ordered into production as the T-38A Talon. « See What You Can Do Online with a my Social Security Account!